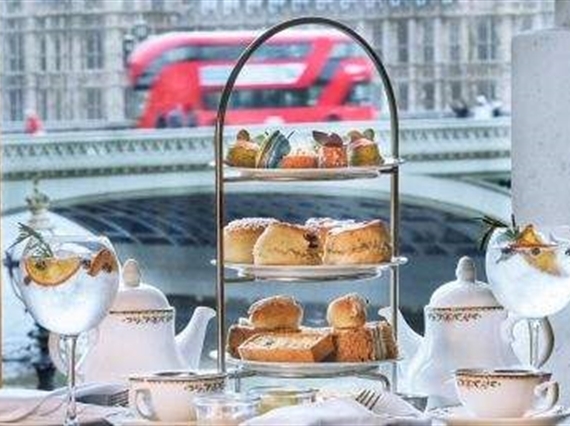 Join us in Gillray's Bar with some of the most iconic views across the River Thames. With over 100 different gins to sample you will be spoilt for choice! 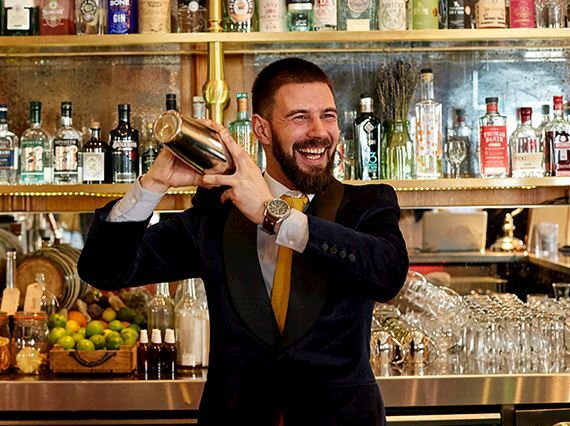 Our bar team have created a bespoke list of classic and contemporary cocktails to enjoy. There are a wide variety of wines, local beers and spirits for you to sample whilst you marvel at the views. A list of snacks is also available to complete your culinary experience. Since November 2017, Rui heads up Gillray's Bar, bringing a new soul to this place overlooking Houses of Parliament and the River Thames. After studying civil engineering, Rui discovered his passion for cocktails and switched career - we are glad he did! Rui loves to try out new creations and seeing his guests happy, enjoying a good drink, a good talk, relaxing and enjoying life. Having travelled to over 20 countries in the past 2 years only, Rui brings in a lot of international inspiration to Gillrays, and we can't wait for his next signature cocktail to be created. Every month, Gillray's bar is proud to introduce you another gin. 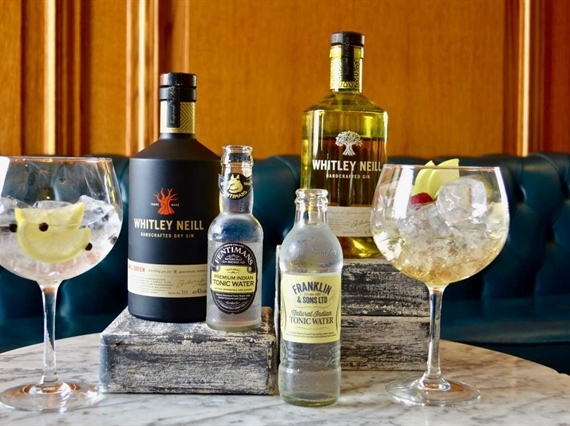 With a selection of over 100 different gins, we highlight one particular favorite to make you get into the world of gins. From the local produce in a London distillery, to the glaciers of Iceland, every gin has its own story to tell. Discover them all here. Mad Squirrel is an innovative, independent brewery based in Hertfordshire, just 25 miles from central London. The brewery was established in 2010 and has since then gained a strong reputation across the UK for its cutting-edge beers and consistent quality. Mad Squirrel has recently invested heavily in a new production site ensuring even more quality and the ability to scale up to meet with demand. The company is focused on working with independent outlets and providing a top tier beer to match high end surroundings. 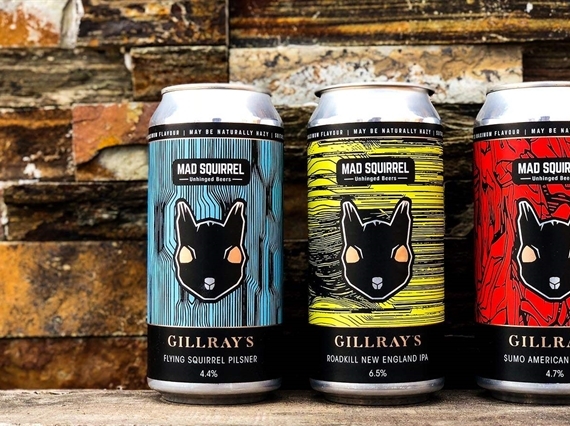 Gillray's is exceptionally pleased to have worked with Mad Squirrel on a range of exclusive own label beers. Discover them all here below. $UMO American pale ale has been brewed with two big hitting American hop varieties. Mosaic hops provide a tropical citrus fruit flavour whilst Summit hops provide a slight herbal finish, making the beer moreish and satisfying. 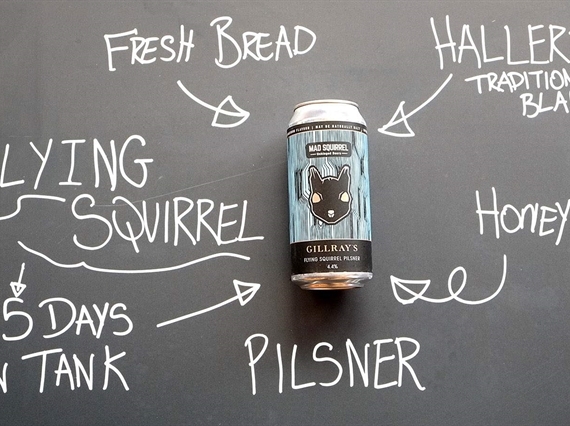 Flying Squirrel is a classic European style Pilsner, we use traditional lager brewing methods, such as a long cold maturation period of 65 days and the natural "krausening" method of carbonation. The finished beer is clean crisp and refreshing with nuanced flavour notes of fresh bread, honey and orange pith. The beer is fresh, natural, unfiltered, unpasteurised and unfined, which means it may have a slight natural haze and is suitable for vegans. 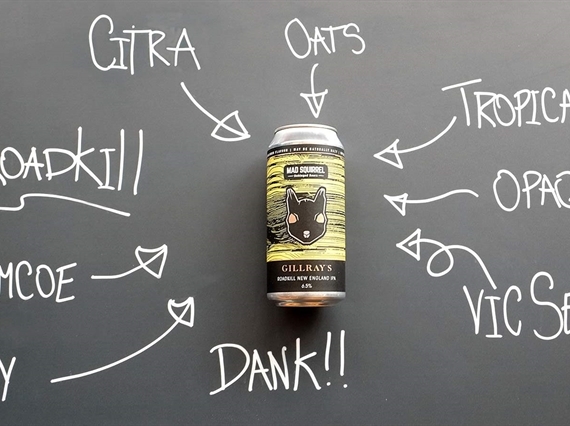 Roadkill is a contemporary New England style IPA, brewed with wheat & oats for a block colour and thick mouthfeel, the beer has a huge addition of American and Southern Hemisphere hops for a rounded tropical fruit flavour and a drinkability that belies its strength. 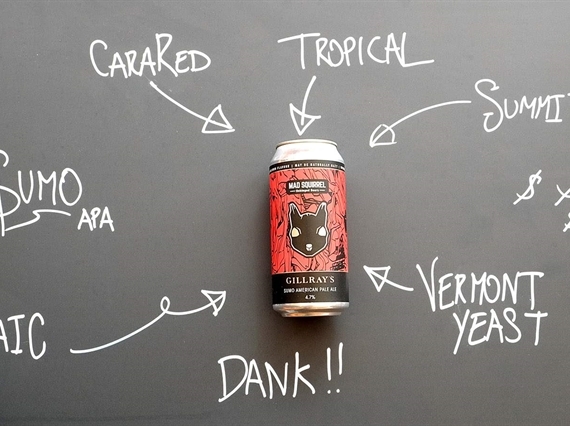 This beer is fresh, natural, unfiltered, unpasteurised and unfined, which means it is naturally cloudy and suitable for vegans.